Fig. 2. Comparison of impact energy from typical active and roadside passive surveys. (Right) Fig. 1. 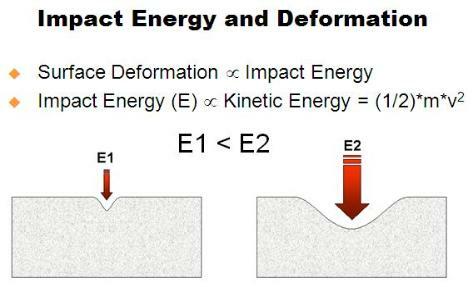 Relationship between deformation and impact energy. that energy from moving cars is greater than that from the active source by a few orders of magnitude. depths and therefore a strong motivation to utilize them.